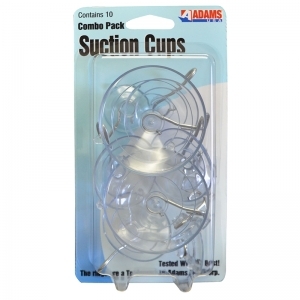 Adams super-strong suction cups are produced from high-quality material that won't yellow, deteriorate, or lose adhesion over time. Light diffusing rings prevent focused light from damaging surfaces. Hold securely in all types of weather. Includes 2 Large, 4 Medium, and 4 Small. - Large cups hang wreaths and larger decorations - up to 7 lbs. - Medium cups hang wreaths, decorations, and ornaments- up to 3 lbs. 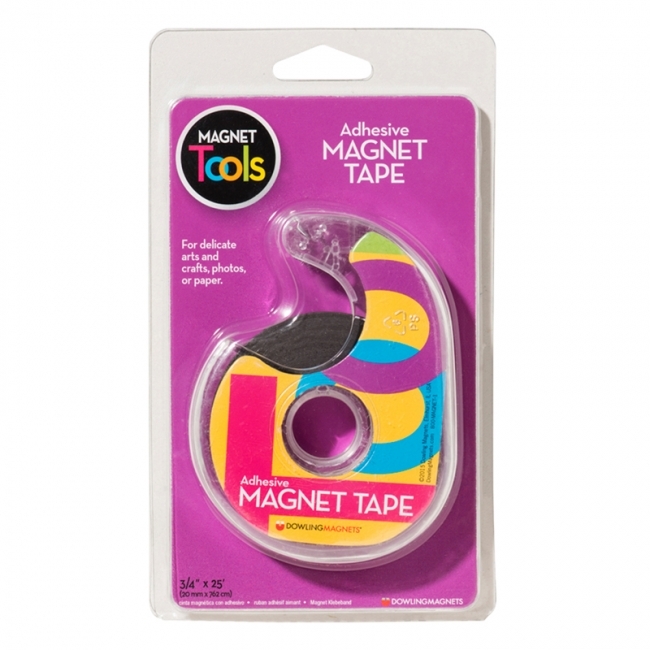 Dispense and cut 1/2" magnetic tape to apply to photos, calendars or anything you want to stick to fridge, lockers, cabinets or shelving. Elmer's No-Wrinkle Rubber Cement provides an easy solution for adhering photos and detailed cut-and-paste projects. The shatter-resistant container includes a brush-on applicator. Excess glue rubs off cleanly and shows no wrinkles as it dries! 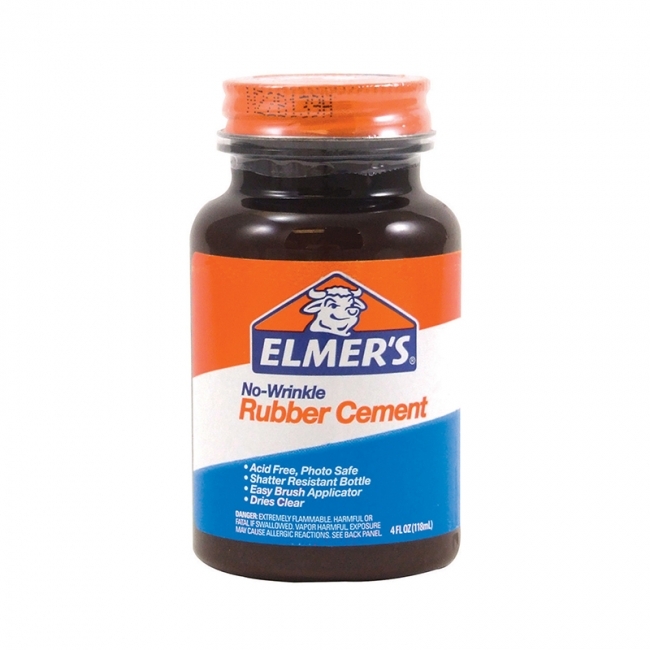 Elmer's No-Wrinkle Rubber Cement is acid free and photo safe. Each bottle includes 4oz. 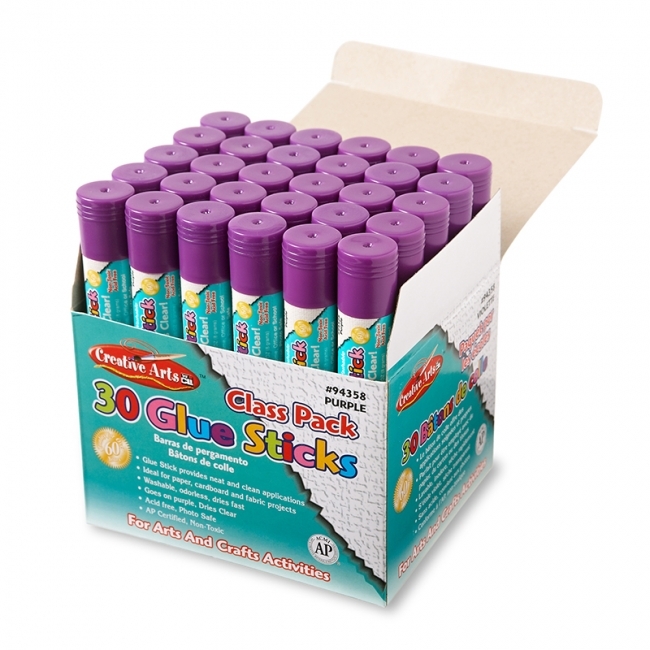 Convenient Class pack features 30 each of our "AP Certified, non-toxic" glue sticks. Providing neat and clean applications, they are ideal for paper, cardboard, photos and fabric. Washable, ordorless, dries fast and clear. Convenient lipstick style applicator. Acid free, conforms to ASTM D-4236. Our Paper Glue/Envelope Sealer seals over 1,000 envelopes along with gluing all paper products. Easy to use with its no mess, no leak applicator, Crafty Dab Paper Glue/Envelope Sealer is fast drying, non-wrinkling and washable. 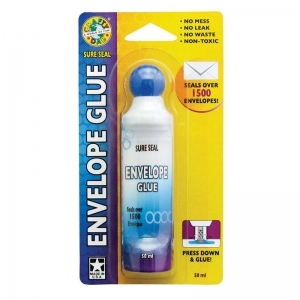 Crafty Dab Paper Glue/Envelope Sealer is the perfect tool for your office needs! 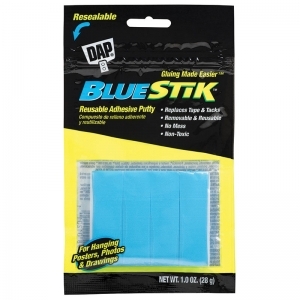 Reusable, removable blue adhesive putty that replaces tape, tacks, staples and magnets. No more holes in walls, and no more chipped, peeled paint. Sticks just about anything to slick or hard surfaces such as wood, tile, glass, concrete, porcelain, metal and painted surfaces. Use to fasten decorations, posters, notes and paintings. Can be used time and time again. Non-toxic. Conforms to ASTM D 4236. Flexible and versatile - Organization, crafts and hobbies have never been so easy! 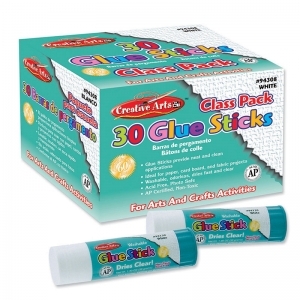 Display artwork, keepsakes or schedules easily and handily with adhesive magnet strip! 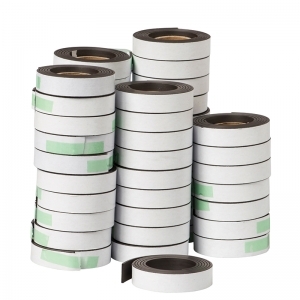 Box comes with 48 rolls of magnet strip with adhesive, rolls measure 1/2" X 30"
Flexible and extra thin--no added bulk! 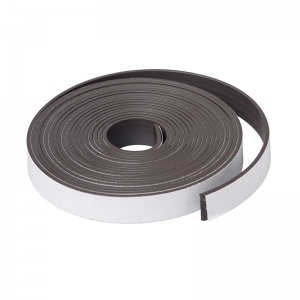 Features light adhesive and light magnet holding power. For delicate arts and crafts projects or hanging paper or photos. 25-foot roll of extra thin magnet strip with adhesive backing. 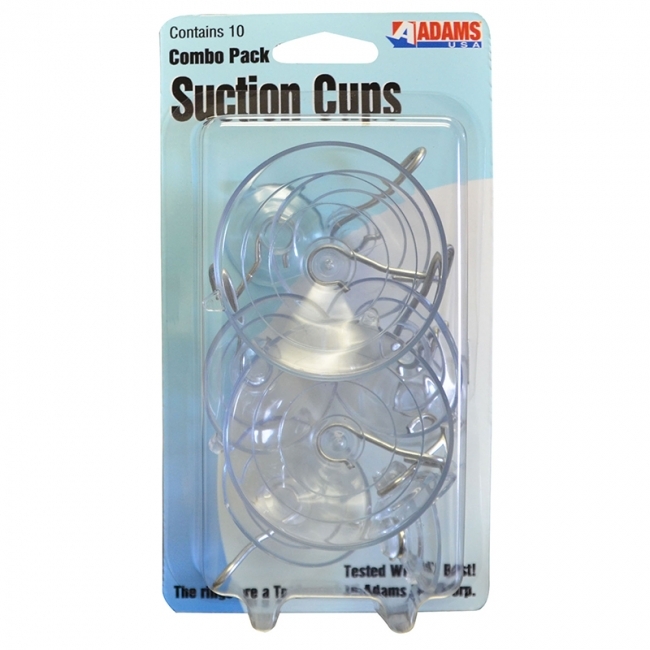 Just pull off what's needed and tear easily on serrated edge of dispenser! Measures 0.75"W x 25'L per roll. Flexible and versatile - Organization, crafts and hobbies have never been so easy! 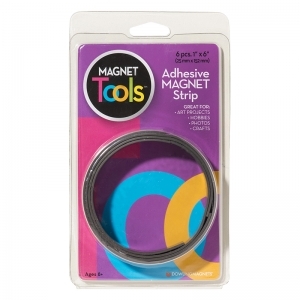 Magnet strip with adhesive, 1/2" x 30". Make just about anything into a magnet by applying these convenient and easy-to-use magnets. 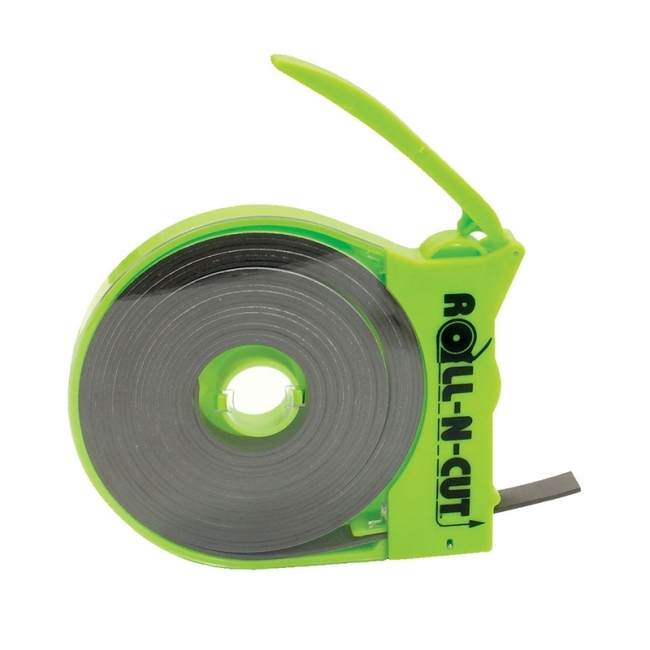 Simply cut, peel and stick! Craft, hobbies, and organizing have never been so clever! Flexible and versatile - Organization, crafts and hobbies have never been so easy! 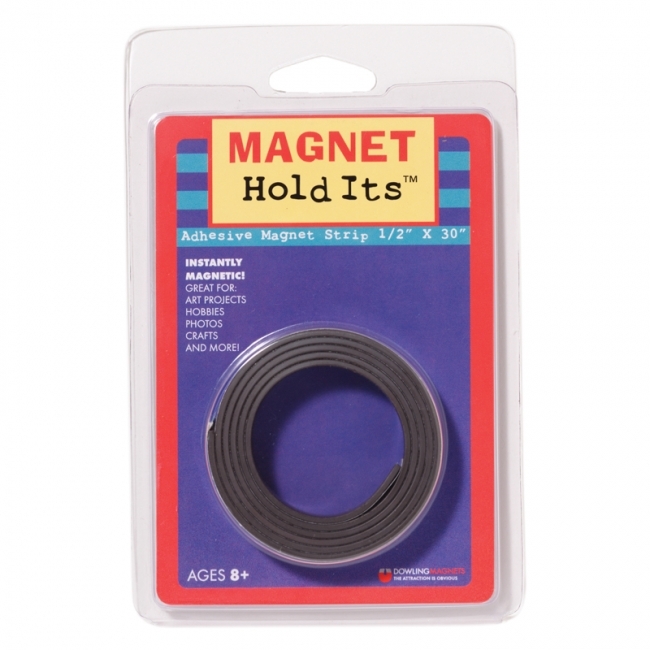 Magnet strip with adhesive, 1/2" x 10'. 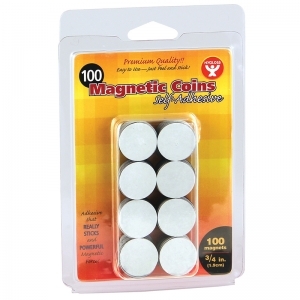 Make just about anything into a magnet by applying these convenient and easy-to-use magnets. Simply cut, peel and stick! Craft, hobbies, and organizing have never been so clever! Six 1 x 6" pieces of magnet strip with adhesive. Make just about anything into a magnet by applying these convenient and easy-to-use magnets. Simply peel and stick! Craft, hobies, and organizing have never been so clever! Display student work or post announcements on your whiteboard! Feature strong adhesive backs and light magnet holding power. Hang paper or create lightweight craft projects. Includes 100- 3/4" adhesive-backed magnet dots. These super strong self adhesive magnets will stick to virtually any material: wood, metal, paper or plastic, to turn all your kids crafts into decorations for any magnetic surface. 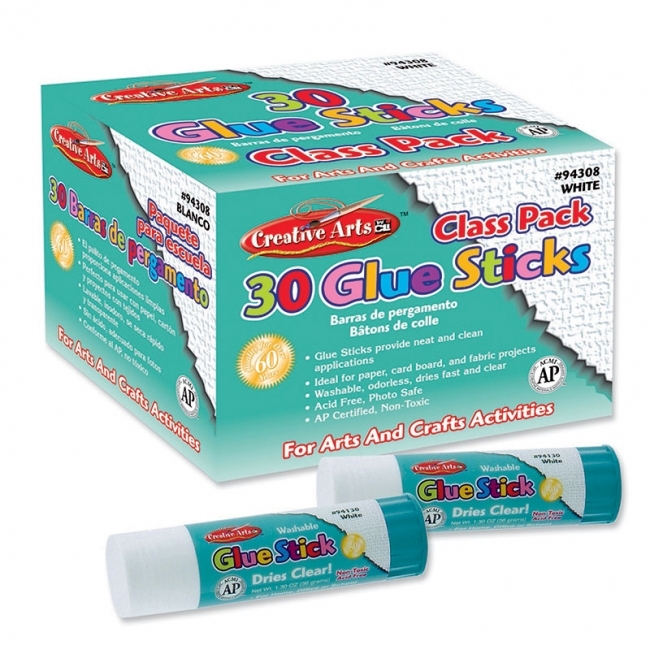 Simply peel off the paper backing and stick to the kids crafts of your choice. Make your own magnets for Mother's Day presents, Father's Day gifts, homemade Christmas presents, and gifts for all your special occasions. 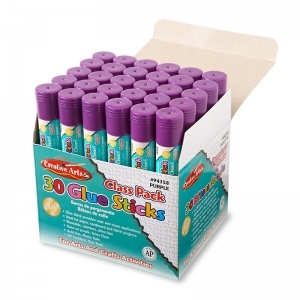 These are also great for birthday party crafts! Want to make teaching aids to help you with a lesson plan? 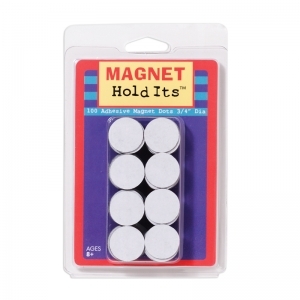 Put magnets on the back to easily display them on the blackboard as you teach.